Contains: egg. Made in a GMP facility on equipment that processes milk, soy, egg, peanuts, tree nuts, fish, shellfish, and wheat. 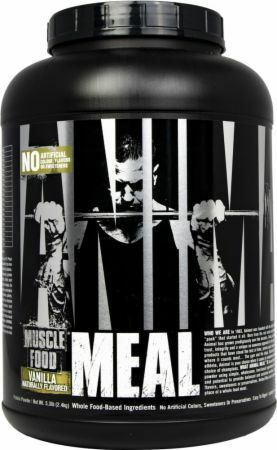 Animal Meal Protein Blend (pea protein isolate, instant egg white powder, dried whole egg protein, beef protein isolate, ), Animal Meal Carb Blend (sweet potato powder, pea starch, tapioca dextrose, rolled oats), Olive oil powder, cocoa, natural vanilla flavors, sea salt, monk fruit extract, steviol glycosides (stevia).